(here, next to this marker); Charles County Lebanon/Grenada Conflict Killed in Action Memorial (here, next to this marker); Honor Roll (here, next to this marker); Charles County World War I Killed in Action Memorial (here, next to this marker); Charles County World War I Enlisted Military Memorial (here, next to this marker); Old Durham Church, Episcopal - 1692 (approx. 0.6 miles away); Christ Church Episcopal (approx. 0.6 miles away). 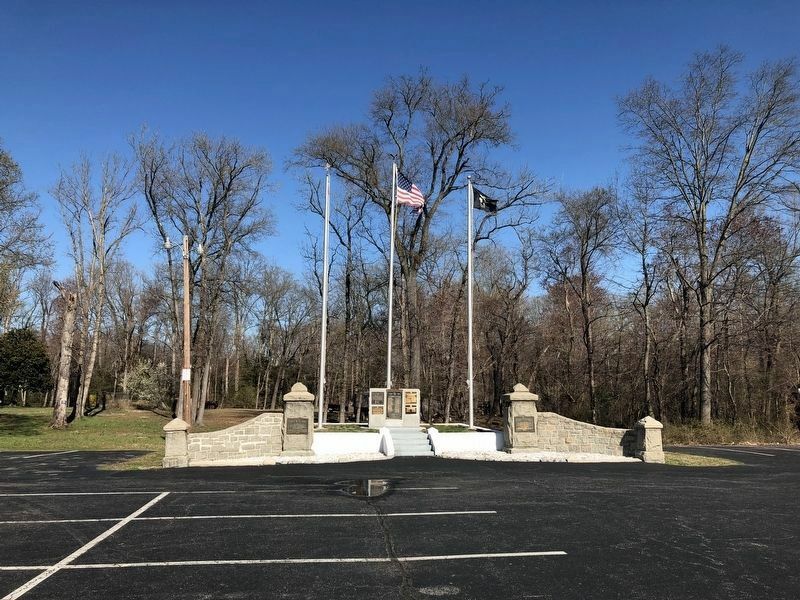 Touch for a list and map of all markers in La Plata. More. 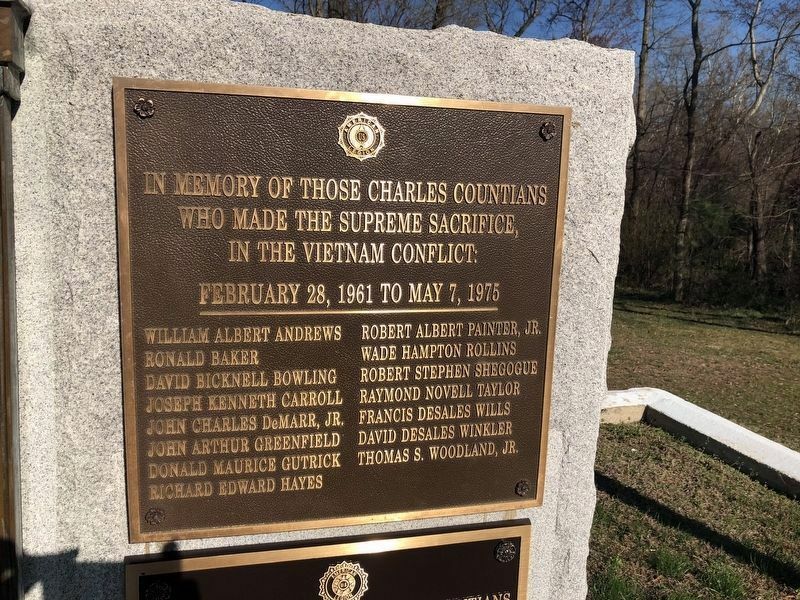 Search the internet for Charles County Vietnam War Killed in Action Memorial.